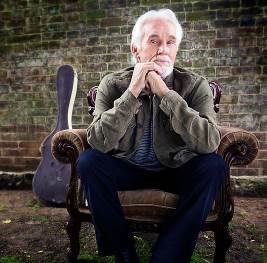 GRAMMY award-winning superstar and Country Music Hall of Fame member Kenny Rogers has announced that his final UK concert will be at LIVEWIRE Festival 2018, with special guest multi-GRAMMY award winning songwriter Linda Davis. For his only UK date in 2018 the enduring country and pop icon will headline the Saturday night slot of the festival which previously announced that BOYZ II Men and Matt Goss will co-headline the Thursday night. Incredibly, Kenny has charted a record within each of the last seven decades. He has sold more than 120 million albums worldwide, making him one of the Top Ten Best Selling Male Solo Artists of All Time, according to the RIAA. Kenny has won many awards for his music and charity work, including three GRAMMY Awards, 19 American Music Awards, 11 People’s Choice Awards, eight Academy of Country Music Awards and six Country Music Association Awards, including the CMA Lifetime Achievement Award in 2013. Special guest for the evening will be the revered singer-songwriter Linda Davis. Labelled a ‘song stylist’, Linda’s unique ability to interpret a song has made her one of Nashville’s favourite vocalists. She quickly gained a legion of friends and fans in the music industry, one being superstar Reba McEntire. Their mutual respect led them into the studio together where they recorded a duet entitled Does He Love You that went on to become a #1 hit and earn both artists several awards including a Grammy for Best Country Vocal Collaboration. Speaking about Linda, Kenny says that “in this business, there are people who can sing and there are singers. Linda Davis is absolutely one of the best singers in the business”. LIVEWIRE Festival may only be in its second year but it has already it left its stamp on the UK Festival circuit, generating worldwide headlines following Will Smith & DJ Jazzy Jeff’s first UK performance to a sold out 20,000 capacity crowd. Already announced for LIVEWIRE Festival are headliners Boyz II Men and Matt Goss, who will be bringing their trademark soulful tones directly from The Vegas Strip to Blackpool on Thursday 23rd August. Further headline announcements will be made in the coming weeks.